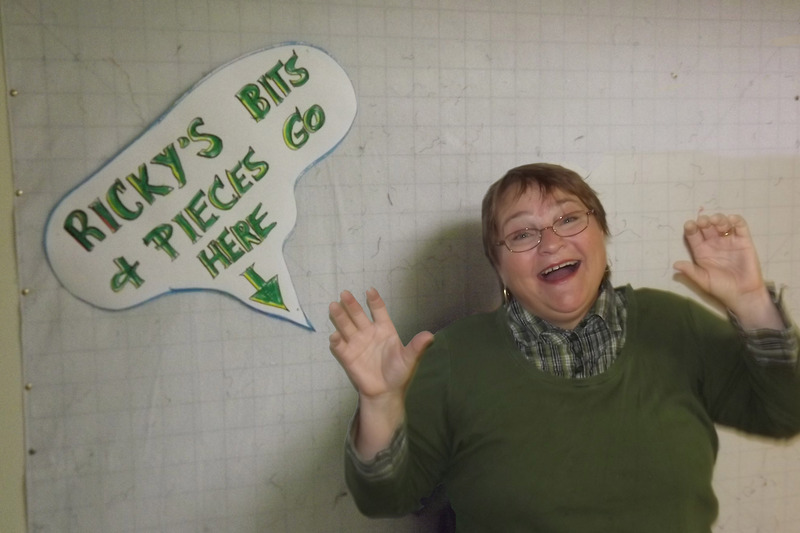 Dianne Gale, winner of my Crappy Scraps, followed the news up with this picture showing where on her design wall these bits and pieces will go. It's always a very tough decision when everyone is clamoring for one bag of my Crappy Scraps! I read every comment and it's exciting to be reminded about the outpouring of charity that goes on throughout the quilting community. I'm also touched by the things you make for your children or grandchildren and of course I'm a sucker for what you do for your pets. I love the creative ideas about coasters, book covers, bags, etc and I know that all of you would be doing happy dances if I picked you. Thanks for playing - it means a lot! There were not enough scraps to divide among friends and far from enough to make any quilt of substance. Hi when I saw you in Rochester you suggested creating the quilt on your design board instead of mapping out what I want to do before hand. I am going to put your bits and pieces on my design board and see what the fabric tells me to do. 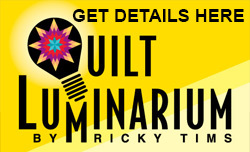 Dianne is referring to my recent Ricky Tims Super Quilt Seminar in Rochester, NY. If you read my recent blog you know how passionate I am about using a design wall. Dianne did her homework (I told everyone their homework was to make a design wall) and I know she will be able to create something fun by just letting the fabric offer the ideas. Dianne has promised to send a photo of her finished project. I want to see what the fabric say to Dianne and I'll be sure to share the results with you too. Stay tuned. I'm sure there will be more Crappy Scraps in my future. WOOT!!!!! Thank you soooooo much. 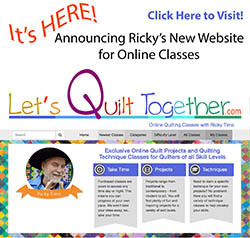 I have to tell you that your seminar in Rochester was THE greatest learning experience of my quilting life. 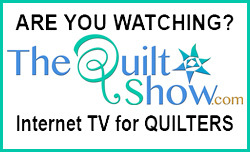 That and "The Quilt Show" have taught me so much. So much great information there as well. So far I have made a convergence quilt, and I have bound 2 quilts using your piped binding. That is my new binding method and I will never use anything else! Also my friend and I were inspired to dye fabric. All thanks to you. I think you need to make a Peach Cobbler quilt... :) Thank you for sharing your recipe... I use Lee Bailey's Country Desert's recipe and add the oatmeal crumble with extra butter and cinnamon.. Cheers..!!! Yeah Diane... Enjoy! I love your idea! CONGRATULATIONS Diane!!! Have ns of fun playing with the gorgeous fabric.